BELO HORIZONTE, June 27, 2014 - Brazil's Neymar (front) participates in a training session in Belo Horizonte, Brazil, June 27, 2014. Brazil's national football team participated in a training session for the first match of the Round of 16 here on Friday. 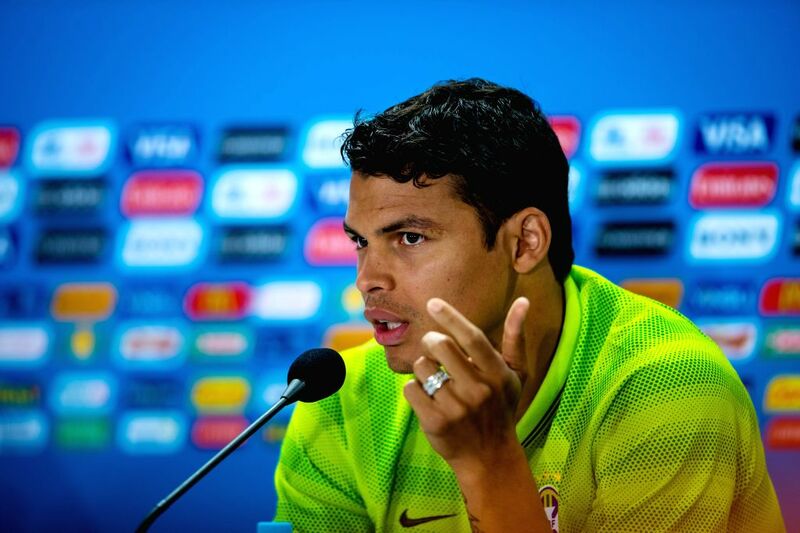 Brazil's Thiago Silva attends a press conference after a training session in Belo Horizonte, Brazil, June 27, 2014. Players of Brazil's national football team participate in a training session in Belo Horizonte, Brazil, June 27, 2014. Players of Brazil's national football team cheers during a training session in Belo Horizonte, Brazil, June 27, 2014.